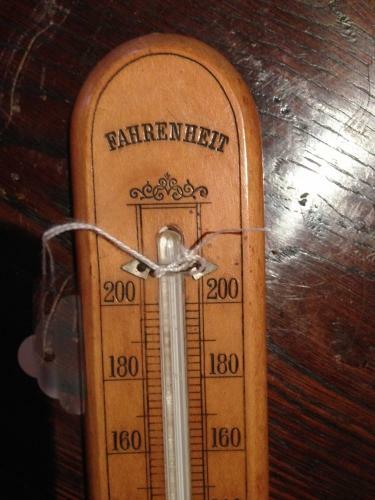 Fine antique room thermometer. Lovely quality being made of Boxwood with fine detailed lettering and decoration. Thermometer still working and readable.